The above video includes highlights from the event. You can view the full event here. VANCOUVER — Area students stepped into the election season discussion by hosting their own political forum for 10 candidates running for state and federal offices, yesterday evening. 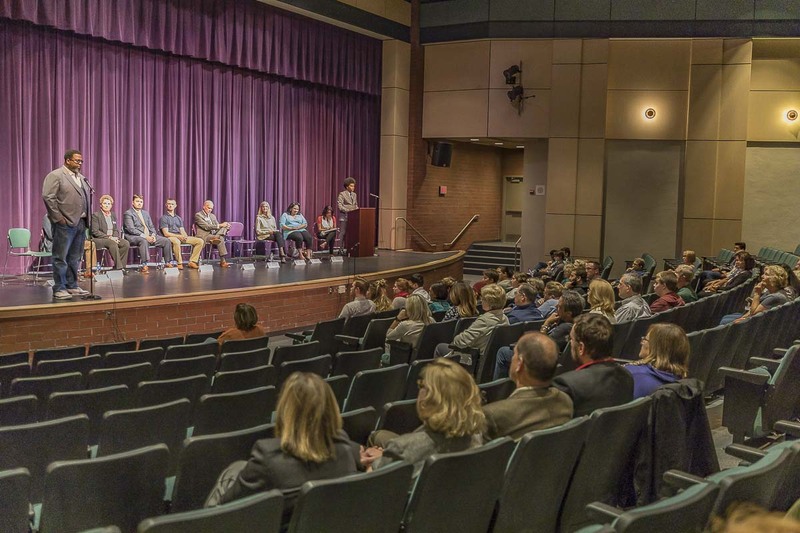 Heritage High School’s AP Government class put on a open house and public forum last night on their home turf. The event began as meet-and-greet with candidates, followed by a time of opening statements and finally, questions from audience members. 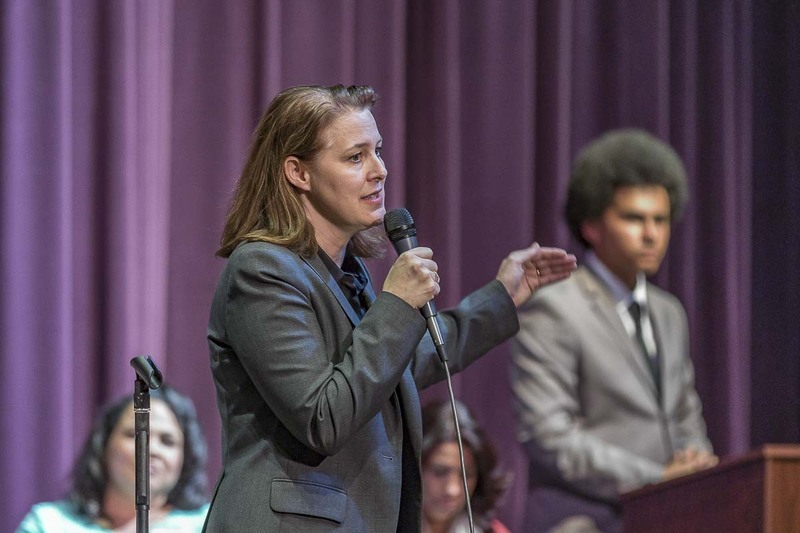 The forum welcomed such candidates as Carolyn Long (D) of the 3rd Congressional District race, Vicki Kraft (R) incumbent of the 17th Legislative District, with her opponent Tanisha Harris (D) as well as Brandon Vick (R) incumbent of 18th Legislative District, with his opponent Chris Thobaben (D). Topics ranged from transportation concerns and the I-5 bridge, to candidate’s opinions on recent Washington state legislation. The entire night was set-up, moderated and participated in, by students. With more than 50 community members in attendance, the pace of the evening was lively, with a new question about every 10 minutes. 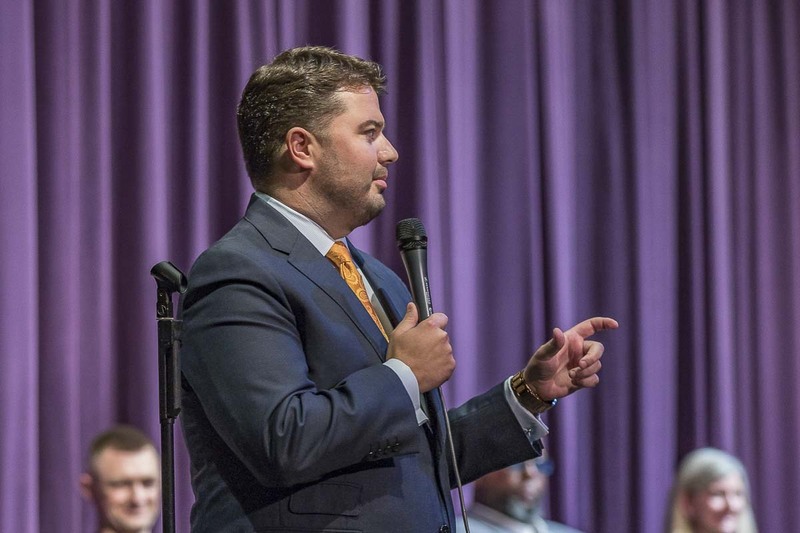 The student moderator stepped in only a handful of times to limit the back-and-forth comments between audience members and candidates. Members of the Heritage High School administration were also in attendance, and showed strong support for the event early on, said Haberl. 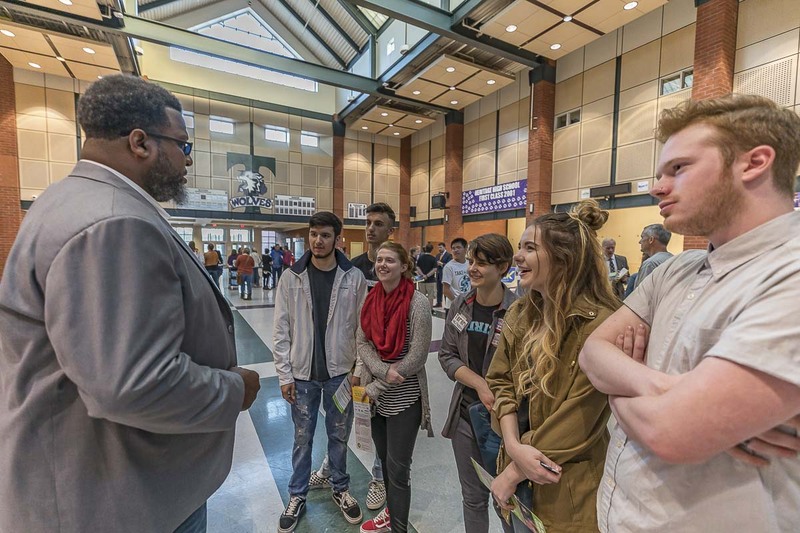 It is the hope of the Heritage AP Government class, to hold more forums like this in the future; creating a network of politically savvy students in schools across the county, said Haberl. To see highlights of the forum, check out our video coverage accompanying this article. For video coverage of the entire forum as well one-on-one interviews with several of the candidates, check back Monday on our YouTube channel.